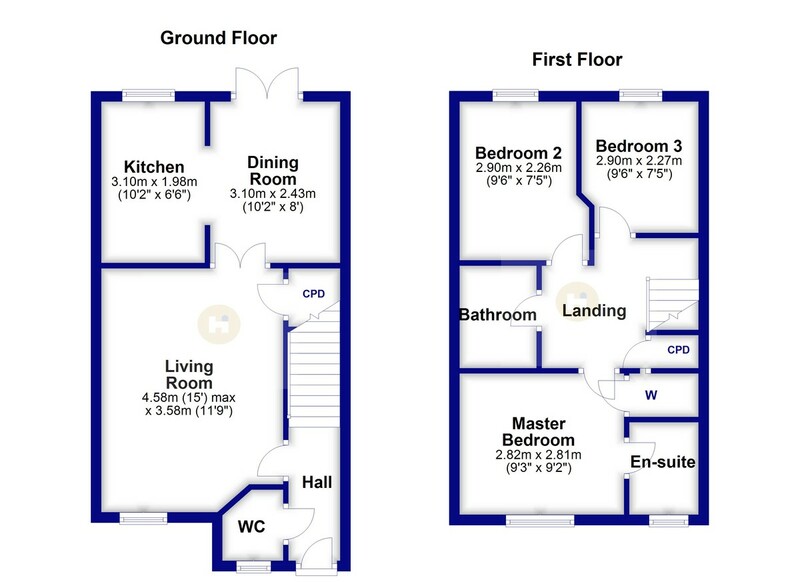 An outstanding opportunity for young family or first time buyers. 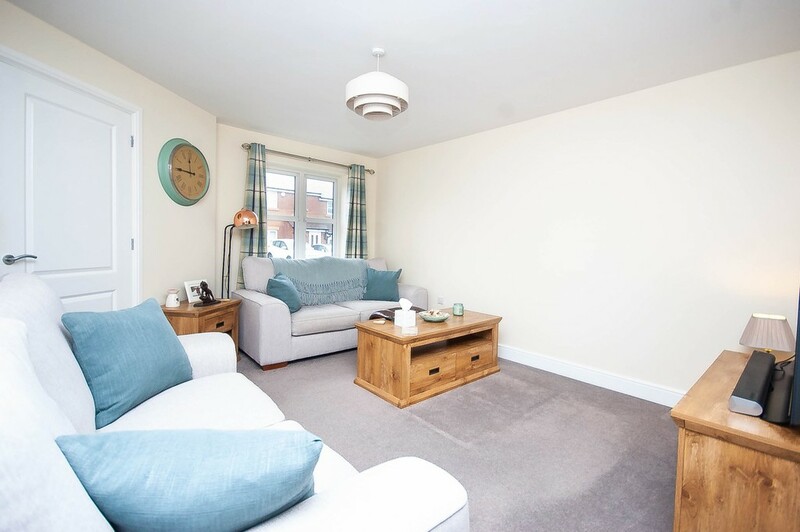 A well appointed mid town house which offers tastefully presented living space throughout. Convenient commuter location. Viewing is strongly recommended. 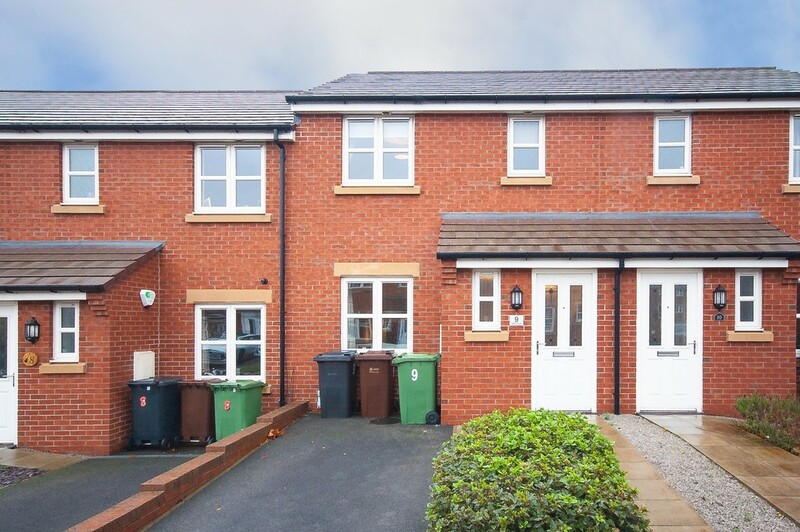 ACCOMMODATION This is a modern mid town house offering an excellent opportunity for first time buyers or a young family. The property provides well appointed and tastefully presented accommodation which is worthy of an internal appraisal. 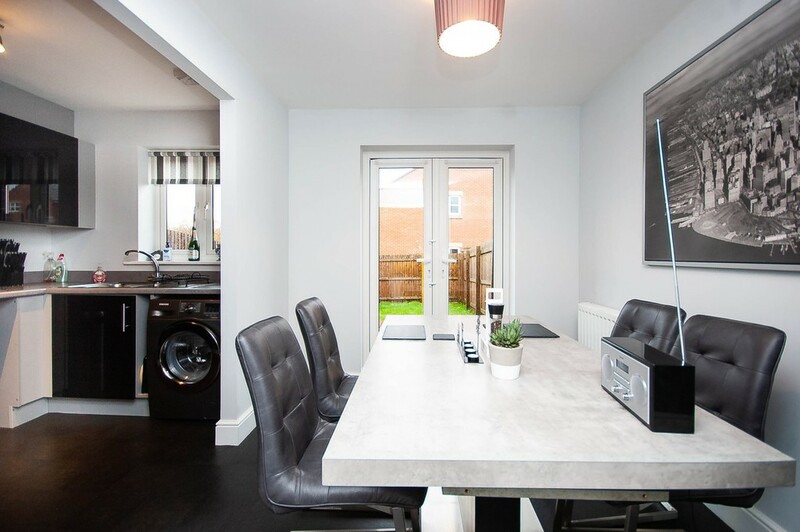 Briefly comprising; entrance lobby with W.C off, lounge, dining room with French doors to the rear garden, kitchen with range of quality units in a black hi gloss finish. To the first floor is a master bedroom with its own en suite shower room, two further bedrooms and the main house bathroom. This home has off road parking to the front and to the rear is a decked area leading out to an enclosed lawn. 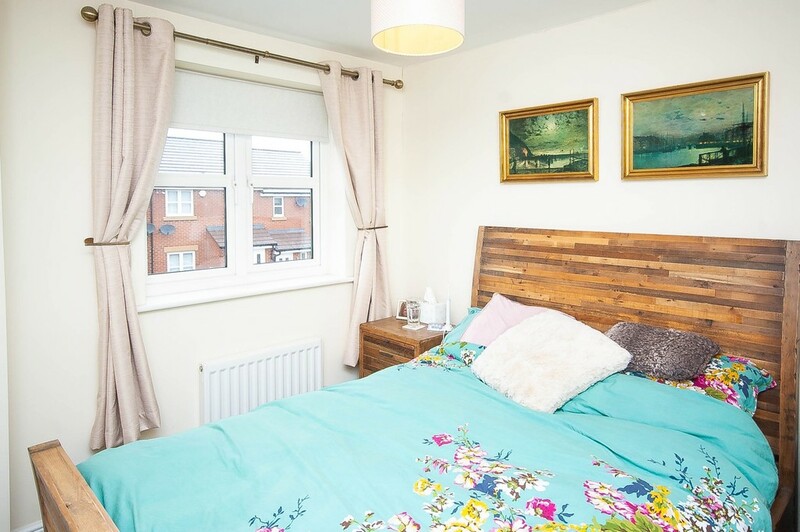 Located within a modern development of similar style homes which is conveniently located to access the nearby cities of Leeds and Wakefield. ENTRANCE LOBBY Panelled front entrance door, staircase leading to the first floor. 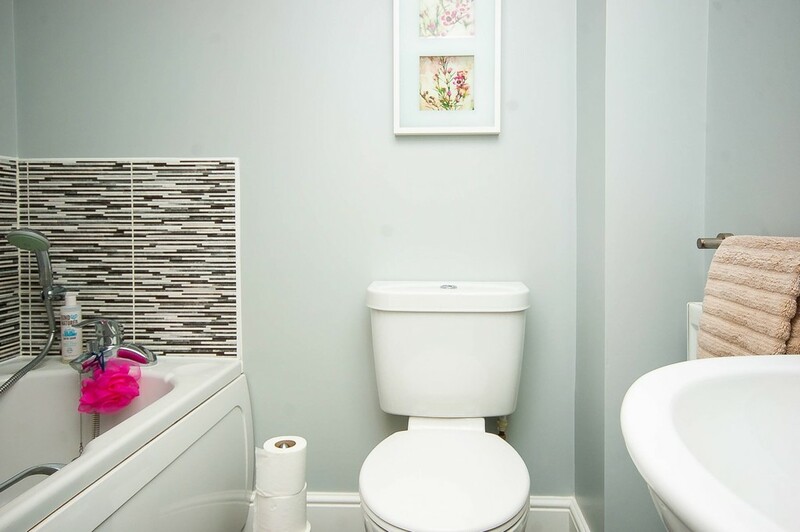 GROUND FLOOR W.C Suite in white comprising; low flush W.C pedestal wash hand basin. Radiator, UPVC double glazed window to the front. LOUNGE UPVC double glazed window to the front, radiator, useful under stairs storage cupboard. DINING ROOM UPVC double glazed French doors giving access to the rear garden. Radiator. 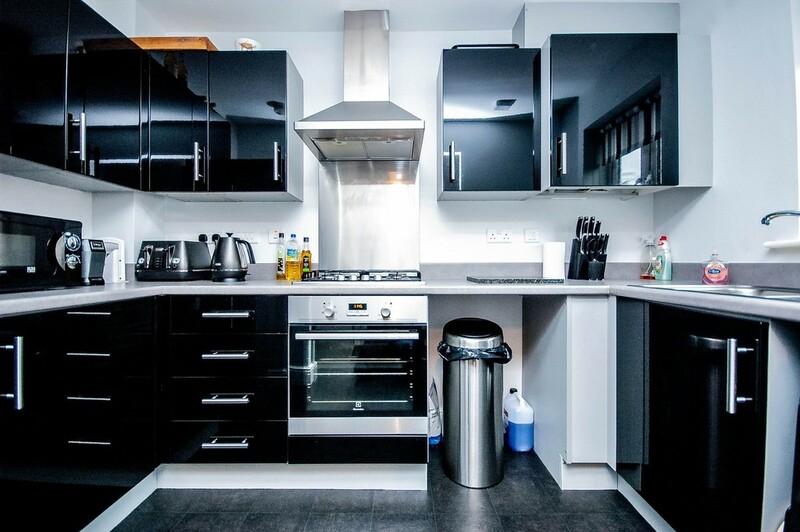 KITCHEN Range of contemporary style base and wall mounted units in a black hi gloss finish with coordinated work surfaces, stainless steel sink with single drainer and mixer tap, plumbing for automatic washing machine, fitted stainless steel electric oven with four ring gas hob and stainless steel fan canopy over. UPVC double glazed window to the rear. 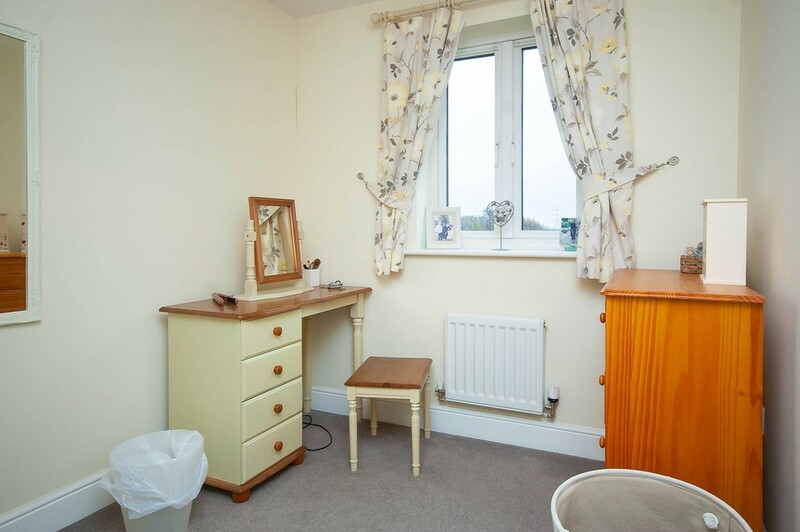 MASTER BEDROOM UPVC double glazed window to the front, large storage cupboard, radiator. EN SUITE Fitted with a modern suite in white comprising; shower in tiled and glazed cubicle, low flush W.C, wall mounted wash hand basin, chrome heated towel rail, tiling to the floor and wall areas. BEDROOM 2 UPVC double glazed window to the rear, radiator. BEDROOM 3 UPVC double glazed window to the rear, radiator. OUTSIDE To the front are planted borders and driveway providing off road parking. 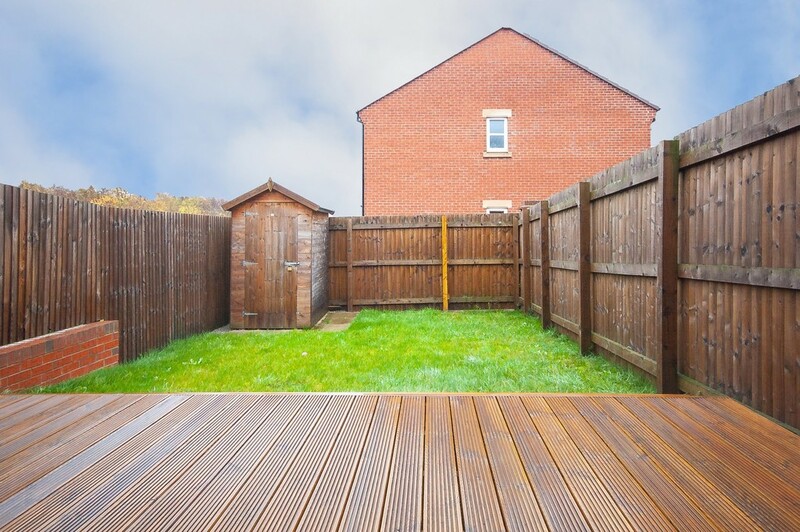 The rear garden consists of a decking area leading out to a lawned garden which is enclosed by timber fencing. TENURE Leasehold - 999 years from 1 Jan 2007. 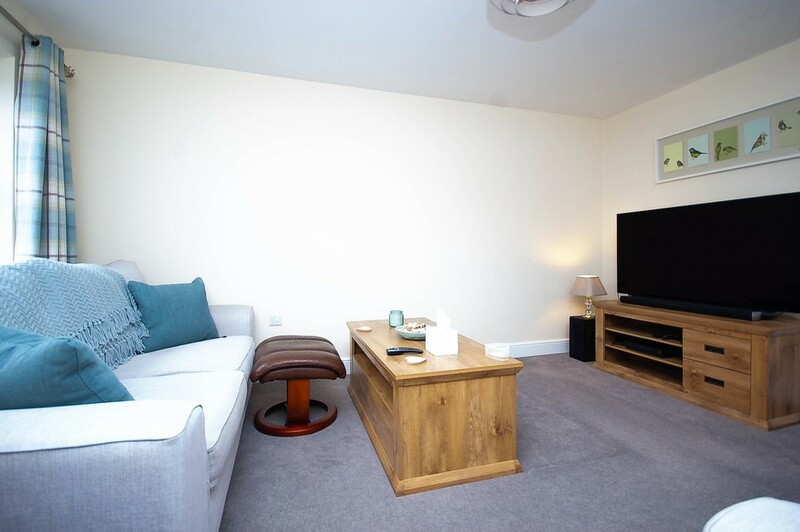 An annual Service Charge of £160 and an annual Ground Rent of £100 apply to this property. AGENTS NOTES As the sellers agent we are not surveyors or conveyancing experts and as such we cannot and do not comment on the condition of the property, or issues relating to title or other legal issues that may affect this property, unless we have been made aware of such matters. Interested parties should employ their own professionals to make such enquiries before making any transactional decisions.